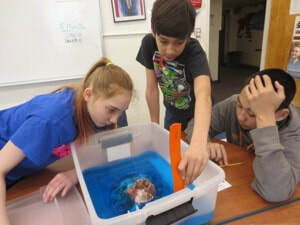 Anvil City Science Academy was created and shaped by a small nucleus of like-minded parents, teachers, and community members interested in a family-oriented, character-developing, highly-rigorous academic education for the children of Nome. It is an expectation that all students will have high achievement, for each has great potential. Technology and scientific research methods are an integral part of the curriculum, as they are an integral part of every child's future. Education is a building block system of fundamental skills, facts, and ideas. A powerful tool for progressive learning is a broad base of knowledge covering many domains leading to and mutually supporting critical thinking skills, problem solving and decision-making. ​The Academic Policy Committee, comprised of parent volunteers, manages the business and affairs of the school and continually reviews its responsibilities in the school's functioning. The APC meets monthly and occasionally has work sessions to discuss and debate procedures for the school's operation. They assist with recruitment, facility oversight, planning, supervision, contracting, budgeting, and more. ​ACSA parents and community members are invited to serve as members on the APC, and parents of students currently enrolled in the program may vote in an election. Children reach and attain the level of expectations and standards set for them. 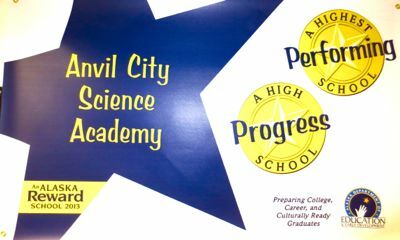 Anvil City Science Academy has set very high expectations and standards as all children have the potential to exceed our expectations. The question is not if the children will seek higher education but what is necessary to ensure they are successful in whatever they decide to seek. Our students must acquire intellectual virtues such as commitment to learning, objectivity, respect for the truth, and humility in the face of facts. Anvil City Science Academy will have a positive moral environment. The ethos of the school, as well as its course offerings, are the decisive factors in forming character.